Everything The O.C. : Just for Fun: Chris Carmack Reenacts his famous "Welcome to the O.C." line plus more! Just for Fun: Chris Carmack Reenacts his famous "Welcome to the O.C." line plus more! Our very own Chris Carmack aka Luke Ward recently visited the Bravo show "Watch What Happens Live" and was asked to reenact his classic "Welcome to the O.C." line. The best part about the video is that he actually does it! Chris even remembers to flick his shirt near the end just as he did in the pilot episode of The O.C.! Gotta love this guy! 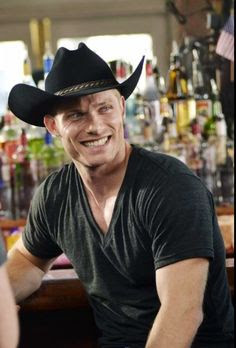 Curious on what Chris Carmack has been up to lately? Well Chris has been super busy to say the least! He just wrapped up playing the character "Will Lexington" on the hit ABC show "Nashville". He played a gay country singer trying to make it big in the country music world. Which is kind of ironic since his O.C. dad Spencer Ward was gay and struggled with it as well. ABC cancelled the show this week after 4 solid seasons! To the syndication station Batman or Nashville could possibly be rescued by another network such as Netflix or the like! Chris did a phenomenal job throughout the series, really showing off his wonderful and diverse acting ability all the while bringing positive awareness to the issues that gay people go through daily, not to mention in the country music industry. Chris has been living in Nashville due to filming but that could change since the show just ended. Occasionally Chris plays at the local downtown Nashville bars and is a wonderful guitar player, singer and performer! He is also very nice to his fans and is eager to take photos or sign autographs! Chris just finished recording his new EP "Pieces of You". Check it out, its really catchy! Chris got engaged to his longtime musician girlfriend "Erin Slaver" this past year. We wish Chris Carmack luck whatever he chooses to do next in his career but here at Everything The O.C. he will always be Luke Ward aka the big golden retriever! Shoo-shoo shakin! Follow Chris Carmack on Twitter here!